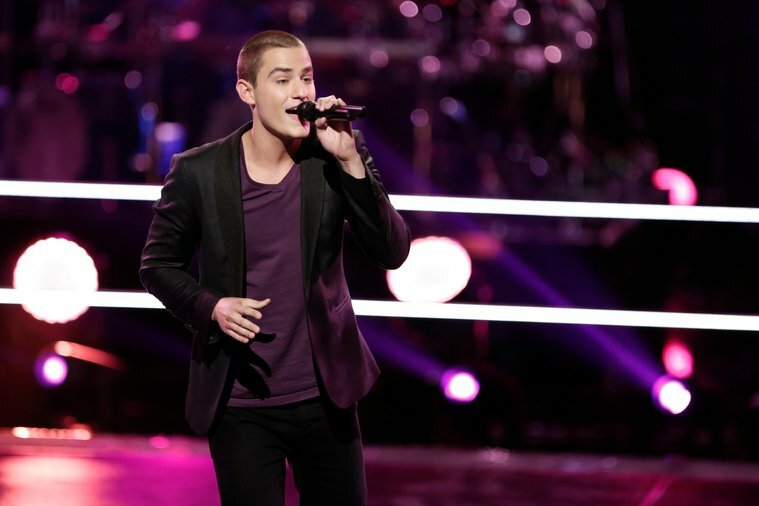 Pop/soul singer-songwriter Chris Jamison recently announced he’d be joining Allen Stone on a brief tour. One of their stops includes Cleveland’s own, The Grog Shop. You may know Chris from the most recent season of NBC’s The Voice. He finished third in the competition with Adam Levine as his mentor. During the season, Chris released his debut single “Velvet.” The song has a catchy, commanding rhythm that showcases his flawless vocal talent. Since the finale, Chris has been touring and playing local Pittsburgh shows. Chris Jamison will be in Cleveland on February 28th so be sure to check out event details and the video for “Velvet” below. I knew I wanted to pursue music when….I auditioned for The Voice. For a long time I was unsure as to what I really wanted to be doing. Do I get a 9-5 and play music on the weekends, or do I pursue music to my fullest? When I decided to audition for The Voice that was my first step in finally deciding that music was what I wanted to do full-time. Now it is what I am doing 24/7 and I LOVE IT. The first song I wrote was….A song titled “She’s My Girl.” I wrote it in the 7th grade and recorded it using a USB microphone that came with one of those karaoke singing games for the Wii. Let’s just say my voice was super high and the quality was awful, but I felt like a rock star. I find inspiration from….My family and girlfriend. I also find inspiration from my grandfather that passed away before I was born. Although I never met him, he is a big part of my life and someone that I think about before I play any show. I hope that he is looking down and proud of all that I have accomplished. Something I hope to accomplish as a musician is….My goal as a musician is to make sure I always keep the music first and to one day sell-out arenas! I’m currently listening to….Fall Out Boy. It obviously isn’t the type of music that I perform, but I always like listening to different genres. I think that it is important to be aware of all of the different types of music. For fun I like to….Relax, watch something on Netflix and have big family dinners. I have always been very family oriented and live for the moments where we are all sitting around the table just talking and having a good time. Something I learned while working on my debut single “Velvet” is….To always follow my gut and not be afraid to try new things. The fact of the matter is that we are recording. If I sing something one way and don’t like the way it sounds I can always change it. At least I can say that I tried and have no regrets. One thing I want you to remember while listening to my music is…My goal as an artist is to leave you feeling something after you hear my music. I want you to feel a connection musically and emotionally. If you want to dance then dance, if you want to sway then sway. However, you wish to express that feeling is completely up to you! Something odd I want my fans to know about me is….I am a triplet and before my appearance on The Voice I was very quiet and shy. I was the kid that watched and didn’t say a word. Now you can’t get me to shut up! My last meal would be….Steak, mashed potatoes, and green beans. Followed by a delicious piece of my grandmother’s chocolate cake and homemade icing. In the next six months you should expect….Some new music and a tour coming to a city near you! This entry was posted in Fill In The Blank, Interviews and tagged Chris Jamison, Chris Jamison interview, Chris Jamison music, Chris Jamison The Voice, cleveland, featured artist, featured artist interview, Grog Shop, music interview, NBC The Voice, Pittsburgh, pop, pop music, soul, soul music, the grog shop, The Voice, Velvet. Bookmark the permalink.